A boat from Indonesia carrying Afghan asylum seekers exploded and sank near Ashmore reef, Australia in the early morning of April 16. The boat designated as Suspected Illegal Entry Vessel 36 (SIEV 36) was carrying mostly 47 Afghan asylum seekers and two Indonesian crew members. The explosion occurred two nautical miles from Ashmore Reef. The small wooden vessel was detected on the night of April 15 by HMAS Albany at location: 600 km north of Broome and 840 km west of Darwin. The explosion happened when the boarding party of HMAS Albany was checking identification documents in the SIEV 36. The boarding party observed the smell of petrol vapour and reported an ‘agitation’ or disturbance on the boat about five minutes before the explosion occurred. It is believed that petrol was deliberately introduced into the bilges by the boat crew to cause in-board explosion. 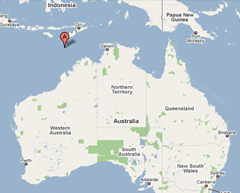 Five people are dead and 51 injured, including four Australian Navy personnel. The Australian Defence Force (ADF) has provided all necessary support to evacuate injured survivors to the mainland for treatment. 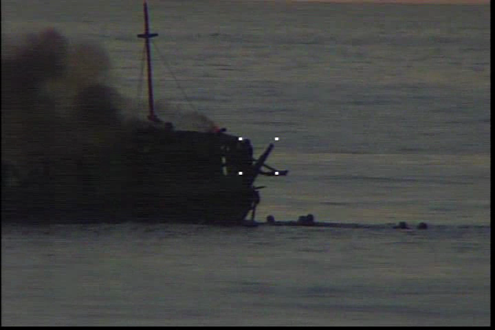 Investigation is going on by the Northern Territory police as the explosion happened in their territorial waters. 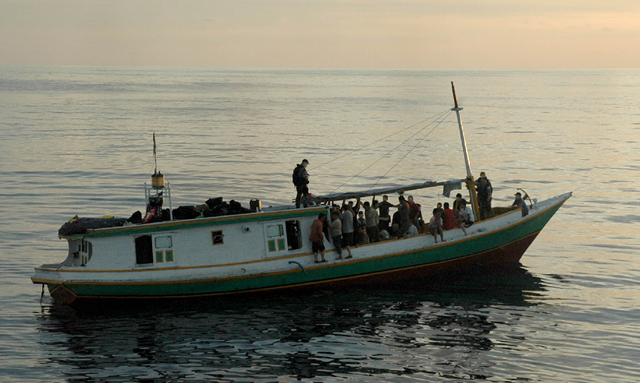 The boat, the sixth to arrive this year, had apparently left Indonesia late last week. Here is the photograph of SIEV 36 explosion, from video file of Department of Defence, Australia. from DOD, Australia: Report 1 and Report 2. Read press release from DOD, Australia regarding: Ashmore Reef Recovery Sequence of Events. View more photographs from DOD, Australia.